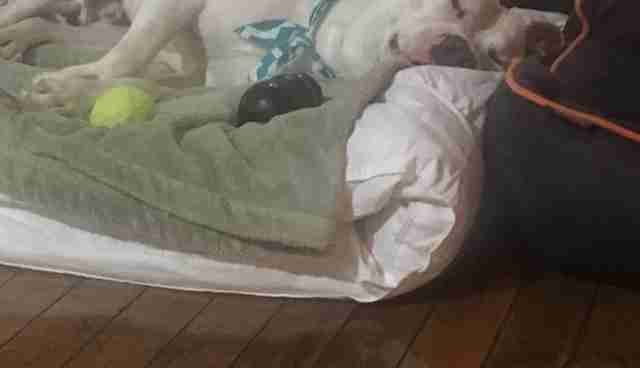 It took a while for this dog to realize the house his family moved away from was no longer his home. 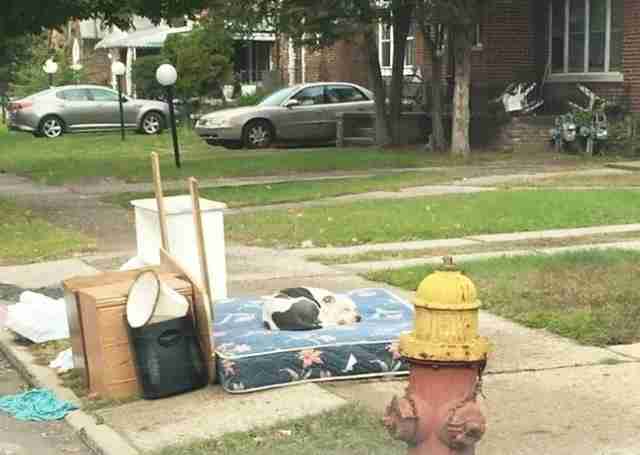 And this week, he learned the old mattress he occupied on the curb was not his bed. Boo had been left behind in a move - his Detroit family left him among the discarded dressers and tables. 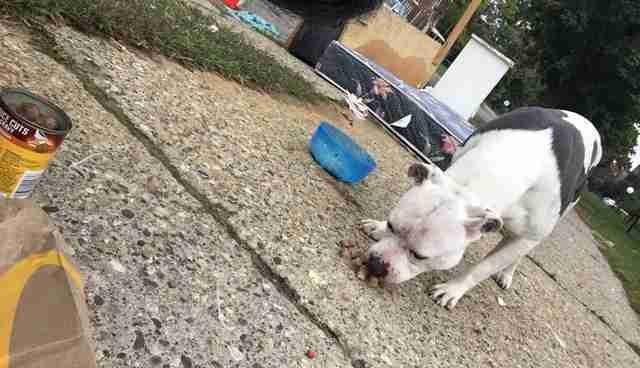 While a kind neighbor kept him well-fed, the dog left a light on for his former family. Instead, Mike Diesel, founder of Detroit Youth & Dog Rescue, got the call. 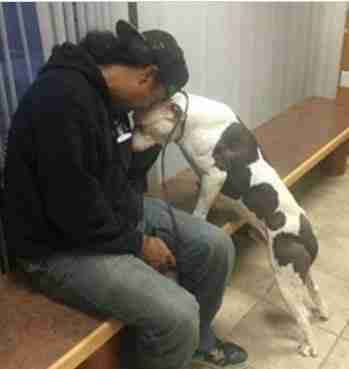 "He was just laying there, being his loyal self," Diesel told The Dodo last week. "Pillows were still on the mattress. Being the loyal dog he was supposed to be, he waited for his master to come back." Over the course of two days, Diesel convinced the dog to give up on his old haunts - and embrace a new life. 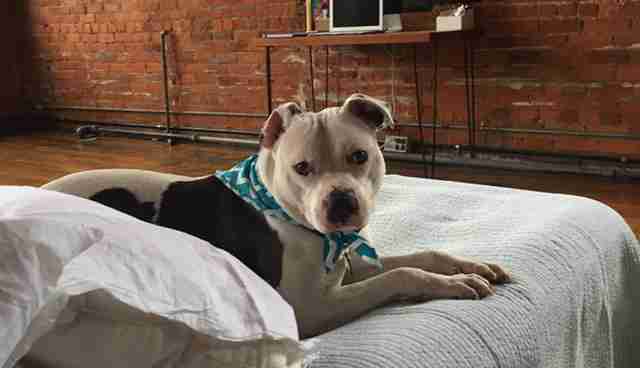 Since Diesel's story was published, people have lined up across the country offering to give him that life. On Sunday, Diesel posted on Facebook that the world's most famous castaway had spent his first night at his new foster home. He soaked up a lot of cuddles. And he got a serious upgrade on his old bed. Boo could still use a forever home. Think that could be you? Get in touch with Detroit Youth & Dog Rescue through its Facebook page. And if you would like to support Boo's journey to a new life, consider making a donation to Detroit Youth & Dog Rescue through its PayPal account at detroityouthanddogrescue@gmail.com. If you happen to be in the Detroit area on November 6, you can also attend a fundraiser for Boo.